Dale Earnhardt Sr was driving by his church and seen his pastor laying down gravel on the church grounds to make way for new parking lot in Mooresville, NC,where he lived, so he pulls in the church parking lot and drives up next to his pastor, who was on a John Deere putting out the Back off I have a crazy sister and I’m not afraid to use her shirt. Dale says hello and asks, “what are you doing?” Pastor told him and Dale Sr asked, “well, how much will a new parking lot cost here?” Pastor told him, it was in the thousands range. 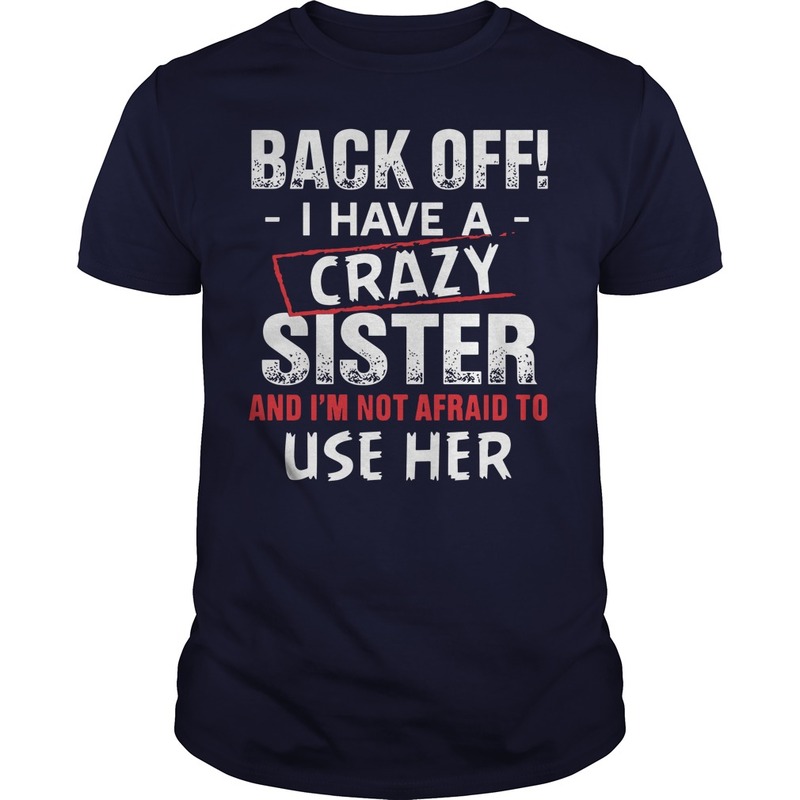 So without saying a word, Dale whipped out his checkbook and wrote his Back off I have a crazy sister and I’m not afraid to use her shirt the check. And as he was giving him the Back off I have a crazy sister and I’m not afraid to use her shirt, he said to the pastor, if you breathe a word to how or who gave you the money to put in the new parking lot, I’ll come in and tear it all out and go back to the gravel lot! Never breathe a word until after his death.